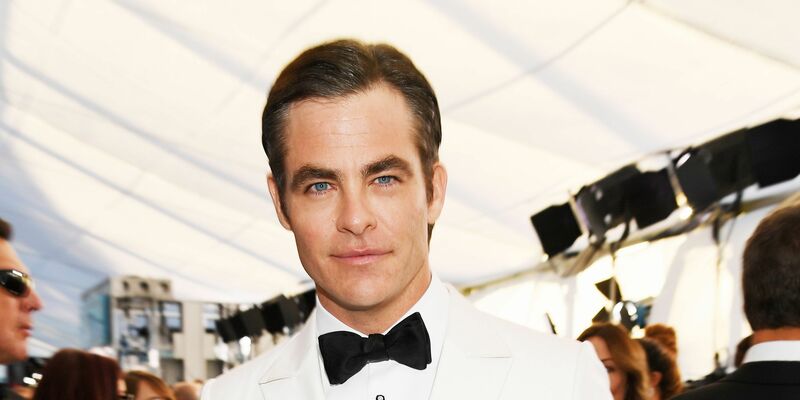 When you’re a super-famous, super-handsome dude like Chris Pine, you have a lot of things to think about. How a recent full-frontal scene is going to go over, perhaps, or whether your fanny pack looks silly. You know, normal things. And while it’s easy to assume that seriously good-looking A-listers never have to think about skin issues, you might be surprised to know they’re just like us. *Record scratch* The A-list actor admitted that his skin problems were so bad that he needed the world’s most powerful acne medication to get through it. *Double record scratch* But Accutane is a super intense, potentially dangerous drug, right? Before you start sprinting out to buy Accutane (which you would need a prescription for anyway), there’s a lot you need to know about it. Many people refer to it as the “last-resort” of acne treatments, meaning that it’s so powerful, it should only be used in the most extreme cases. And while we commend Pine for being honest about his past (presumably without some sort of sponsorship deal, like some other celebs), Accutane is not for everyone. I called up Joshua Zeichner, MD, Director of Cosmetic and Clinical Research, Dermatology, at Mount Sinai Hospital in New York City, to find out everything you need to know about Accutane. While the “miracle drug” won’t increase your chances of a lip-lock scene with Gal Gadot, if it’s right for you, it might help you get a little closer to leading man skin. “Accutane is the brand name of a medication called Isotretinoin,” says Dr. Zeichner. “The brand-name product was taken off the US market in 2009, however several generic versions are currently available.” So if you ask your doctor for Accutane, know that you probably won’t actually get Accutane. However, that doesn’t mean the versions on the market today are any less intense. “It is perhaps the single most effective treatment that we have for severe acne,” he says. Acne is caused by four main factors, but most over the counter treatments only target one or two of them—that’s the key to Accutane’s efficacy. “Isotretinoin is a derivative of vitamin A that decreases oil production in the skin, reduces inflammation, prevents cells from sticking together within the pores [buildup], and lowers levels of acne-causing bacteria,” says Dr. Zeichner. “It is the only medication we have that addresses all of the major underlying causes of acne.” Many claim that Isotretinoin can even help treat acne scars. Who Is Accutane Best For? Isotretinoin is FDA-approved for anyone over the age of 12 and “is indicated for people who have severe acne and those who have physical (or emotional) scars,” says Dr. Zeichner. Those emotional scars? “We know that acne is much more than skin-deep and can have a significant effect on emotional well-being,” he says. Most importantly, and the reason why it’s sometimes thought of as a last resort, is that it’s especially useful for people who have been resistant to other, more traditional, treatments like topical medications and antibiotics. The exact treatment plan varies on a variety of factors, including your gender, weight, and severity of acne. “Patients take the [oral] medication daily, generally for five to seven months,” says Dr. Zeichner. While most patients only go through one round of treatment, some extreme cases require two. If more than one round of treatment is needed, doctors recommend waiting about two months between them. What Do I Have to Keep In Mind When I’m Using It? “The most common side effects are dryness of the skin and the lips,” says Dr. Zeichner, which means that you may need to ramp up your moisturizing routine. It can also make your skin more sensitive, so the American Academy of Dermatology advises using daily sun protection and avoiding tanning beds. They also advise against donating blood during treatment (and 30 days after your last pill) and not waxing your body hair for at least six months after you’re finished (since it can cause permanent scarring). Does It Have A Lot of Other Side Effects? I Heard It Causes Infertility. Is That True? Studies have shown that it does not have a negative effect on male fertility. It can, however, have an effect on women. “It can cause birth defects, so women of childbearing potential must be on two forms of contraception,” says Dr. Zeichner. Someone Told Me Accutane Can Kill You. What Gives? Death by Accutane is a myth, probably started by a 2010 court case where a man claimed the drug gave him IBD which led to the removal of his colon. Not only was the verdict in his favor eventually reversed, but as Dr. Zeichner noted, the 2014 French study disproved a connection between the two.